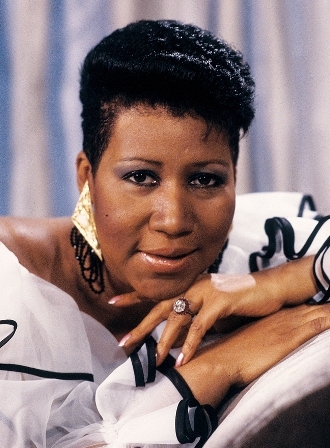 Musical icon Aretha Louise Franklin known for her riveting singing voice, passed away from pancreatic cancer at the age of 76 on Thursday (Aug. 16) morning at her Detroit home. Franklin, long hailed as the Queen of Soul, will be remembered for her impassioned voice capturing and humanizing the pivotal times of the civil rights and women’s rights movements most notably with “Respect,” her mega hit that continues to resonate. Franklin was born in Memphis, Tennessee on March 25, 1942. At the age of 2, she moved to Buffalo, NY, and by 4, her family settled into Detroit, Michigan where her father Rev. Clarence LaVaughn Franklin became the most influential Black pastor in Detroit at New Bethel Baptist Church. Rev. Franklin befriended Rev. Dr. Martin Luther King, Jr. The influence of Franklin’s father attracted musical royalty to the sanctuary that included Mahalia Jackson, Clara Ward, and Dinah Washington. It is at New Bethel that Franklin’s voice was developed and nurtured in gospel music. She ultimately sang the gospel classic “Precious Lord,” Dr. King’s favorite hymn at his funeral. 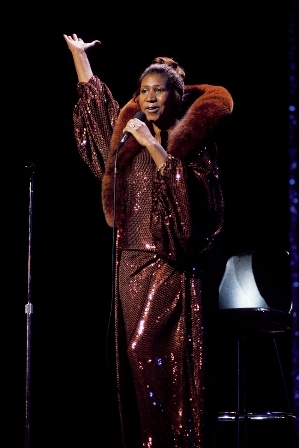 Franklin’s mother left Detroit for Buffalo, N.Y., shortly after separating from Franklin’s father when Aretha was 6. She died four years later. At the tender age of 18, Franklin signed to Columbia Records (1960). 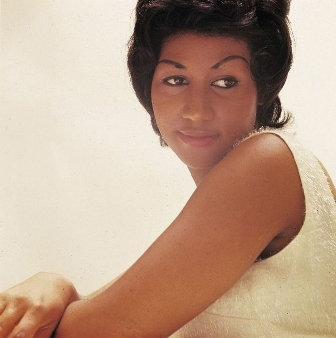 When her contract expired with Columbia Records in 1967, as a 24-year-old Franklin elected to sign with Atlantic Records. Her first Atlantic single, “I Never Loved a Man (The Way I Love You),” became her first No. 1 on Billboard’s R&B chart, cracking the pop Top 10 as well. It was also under Atlantic, that Franklin released her greatest hit, “Respect.” The single turned into an anthem for change embraced by millions who fought for both racial and gender equality. The call for respect went from “a request to a demand.” It won two Grammy awards for Best Rhythm & Blues Recording and a new category in 1967, Best Rhythm & Blues Solo Vocal Performance, Female. While Franklin’s musical expression was one way for her to highlight her social activism, she did not shy away from making statements through action. She unapologetically championed for the black reality and fighting for civil rights. When political activist Angela Davis was jailed on trumped up charges in, Franklin offered to pay the bond for Davis. Despite her father’s disapproval with her generous offer, Franklin stuck to her convictions citing the importance of freedom. 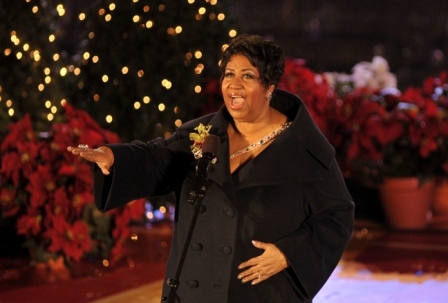 Franklin’s political ties continued as she performed at three U.S. presidential inaugurations. In 1977, at the inaugural concert for President Jimmy Carter, she performed “God Bless America.” She was also the featured singer at U.S. Presidents Bill Clinton and Barack Obama inauguration ceremonies. Her rendition of “My Country ‘Tis of Thee,” left an everlasting stamp on the historic day for President Obama. The Presidential Medal of Freedom and honorary doctorates from Yale University and Berklee College of Music are just a few of the many accolades Franklin accumulated. In 1987, she became the first female artist to ever be inducted into the Rock and Roll Hall of Fame. At age 52, she became the youngest recipient of a Kennedy Center Honor. 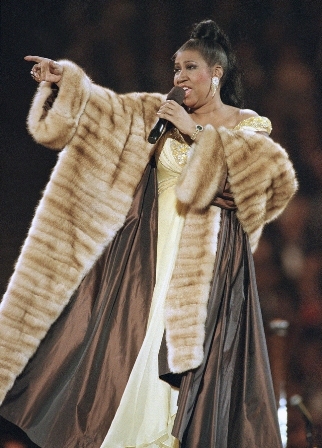 The live recording of her gospel album “Amazing Grace” remains the highest-selling gospel release of all time. In much of her discography, much of her other musical talent can be heard. Franklin was a self-taught pianist, who learned without knowing how to read music. Franklin was married twice; once to her former manager, Ted White (1961-1969) and then to actor Glynn Turman (1978-1984). She had four children: Kecalf, Theodore, Edward, and Clarence. Though Franklin has passed, her legacy lives on through her immortal sounds and the stamp she left on the world and particularly the American music and cultural landscapes. All photos from (AP Photo).